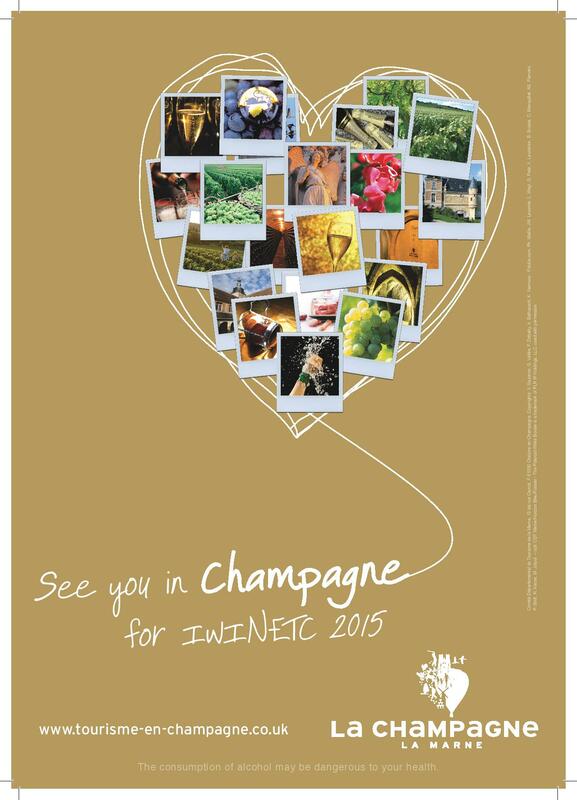 2014 IWINETC Ends with Announcement of 2015 IWINETC Location: Champagne! Erin Korpisto, Okanagan College/BC Wine Info Centre and Allison M. Markin, All She Wrote Consulting shared the story of the wines of the Okanagan Valley and how it was impacted by social media. People think that in Canada they are cold but are a very warm climate. 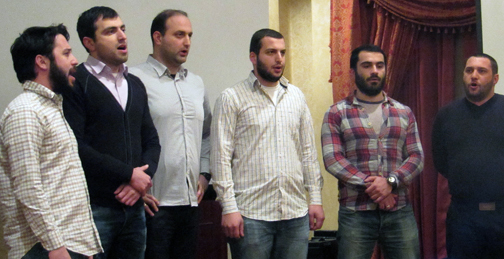 They are a very small region and have used online tools to get people to build awareness. They are too small to export. Due to lots of online chatter they were the #1 wine region to visit on Facebook by Viator, and Penticton was the most talked about wine destination on Facebook. There are 9800 acres, 217 wineries and the top three reds are Merlot, Pinot Noir, and Cabernet Sauvignon. The top three whites are Pinot Grigio, Chardonnay, and Gewurztraminer. There are 5 viticulture areas plus a general BC viticulture area. Social Media gave them the opportunity to create partnerships, gain online exposure, share the benefits of visiting the area and expose a new audience to the wines, food, and experiences the wine regions of British Columbia have to offer. How to keep people engaged with the (wine growing) region after they are back home from there? Few cases show that focus on trading is very important. All community of the region has to be involved and participate, all can benefit. Tourism can benefit from wine events and vice versa. What could be a good opportunity for emerging regions such as Georgia? Possible answer: focus on qvevri and/or long skin contact produced (aka orange or amber) wines. Ashika suggests that leading role in communication between winemakers to raise the quality of such wines, to reach their full potential and to avoid production of bad wines among then, should belong to Georgia. Jochen mentioned his two loves: nature and wine. He has been a wine tour leader and a wine writer for 20 years. In addition to an interest in wine, Jochen has an interest in spas. He explained that wine therapy and wine wellness are not the same. A glass of wine during a bath is an example of wine wellness. Placing a pomace cake into the bath water then taking a bath is an example of wine therapy. 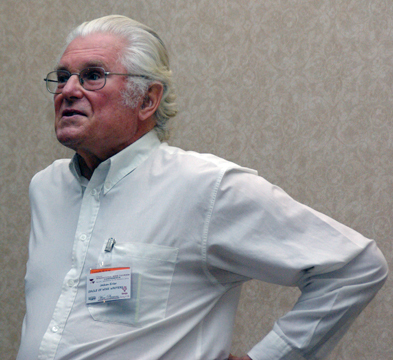 Jochen described different types of spas for example thermal, mineral or sea water. He then singled in wine therapy, a skin treatment based on grape seed oil or other grape products. Powder is milled from grape seeds and used at spas. Wine therapy is over 100 years old when it was discovered that wine pomace is good for the skin. Today some spas offer messages with grape seed oil. Jochen mentioned some of the spas in Europe when one can travel for wine therapy. Terry Sullivan moderated a panel of professionals in the discussion of how to use social media to promote and engage customers in any industry. Melba Allen, Paul Bonarrigo, Tom Plant, and Sarah May Grunwald participated. What are the benefits for having a blog for your business? Sarah: A blog creates content that is connected to website and brings people with other keywords into her website. Tom: Immediacy – update constantly. Blog is living and breathing; his blog is his website. Melba: Is a good way to update info or if you do not have a website it is a mechanism to share info; blogs provide a library of references to see older content. How can we use social media to collaborate with competitors? Paul: Must convince competitors that together you can do more good than competing against each other. 1+1=3 In Texas, Texas wine sales are 3% in state = our competitor is California with 83%. Working together will yield better results. Sarah: Collaborate with competitors that have as high a product quality as you have which sets you apart and can draw their customers to you. Competitors can refer to each other. Tom: Definitely a win-win situation. Get to know your competitors – Give them the overflow business and encourage reciprocation. Is an event present on Twitter, Facebook, YouTube and LinkedIn helpful? Sarah: Provides place to have conversation and draw people in. Events require social media. People are not even opening emails anymore. You can share and then other people can share – which yields more followers and other people can become part of the conversation. Paul: Started his own YouTube show; Twitter is dynamic. Eighty percent of all event business is generated by social media; he uses hoot suite to post multiple social media simultaneously. Melba: Twitter, Facebook and CoverItLive tools are good for spontaneous results. Uses LinkedIn as professor and in business. It puts you in contact with those people in your profession, provides way to find interns, to hire, targets exactly the persons you seek. Sarah: Important to share content of other people to build friendships and create conversations. Creates even broader audience. In what ways can tour operators and wine tourism experience providers use Facebook? Sarah: Great way for people to visual and see what you say. Twitter impact is shorter, Facebook has longer visual connection. Problem is people using Facebook as a website. It is not professional. What are some of the limits that Facebook puts on you: a person would have to type the name of company to see page; only 10% followers can see content unless you pay. Should businesses create a newsletter? Paul: Suggests weekly; tells customer what, when, where events are taking place, has photos, testimonials & updates on vineyard and wine. Feature key employees. Example: On a staff member that is outstanding, we did a personal story and customers loved it. Sarah: Her collaborative has quarterly newsletter that includes information on tours, event releases. 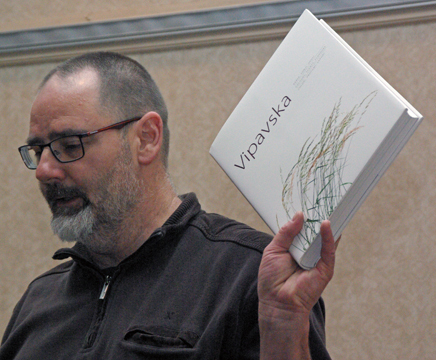 Tom: Maintain touch with clients; if a new winery is opening – provides a stimulus to book a tour. Do I really need to use different social media platforms or is website enough? Sarah: Global market – need it. Cannot survive without. Trends are constantly changing and you need to be real-time. Creates more content for your website. Melba: She has 2-3 websites linked together that are fairly static targeting professional market. The only things that change are prices. Social media can give it that freshness or new look. She gets new visitors to her site through the social media component. Paul: Whenever you do a press release the best days to do them is on government holidays. Seventy percent of media traffic is generated by government. #1 people are home #2 government is not flooding the newswire. When you look at social media we have 175 radio stations and on cable 1000 stations. It is cost prohibitive and reaches a smaller audience than social media. Tom: Clients at beginning of his tours will go to his Facebook page and like it which in turn their friends see and creates more buzz. Veronika Raetchi-Tomescu provided a wonderful and enthusiastic presentation on the wines and wineries of the Republic of Moldova. The colorful slides made it delightful addition to the presentation making it easy to follow along. In the beginning she also noted that Moldova’s shape is similar to a grape cluster. According to Veronika, the Republic of Moldova is a live legend. Moldova has a long wine history. Grapevines date back thousands of years. Today they have 112,000 hectares of vineyards. Grape variety names include Feseascra Alba, Feteasca Neagra and Rara Neagra. Seventy three percent are European grapes; seventeen percent are Caucasians grapes and ten percent local grapes. Eighty percent of the Moldovan grapes are export to other countries including Belarus, Ukraine, Kazahstan and the Russian Federation. Followers of the Guinness Book of records will be interested that a wine collection has added a wine collection from Moldova. Another aspect for visitors to consider is the wonderful and enticing cuisine of Moldova. Judging by the number of people who hurried forward to get more information about Moldova this was a very successful presentation. Moldova should be considered as a wine and cuisine destination. 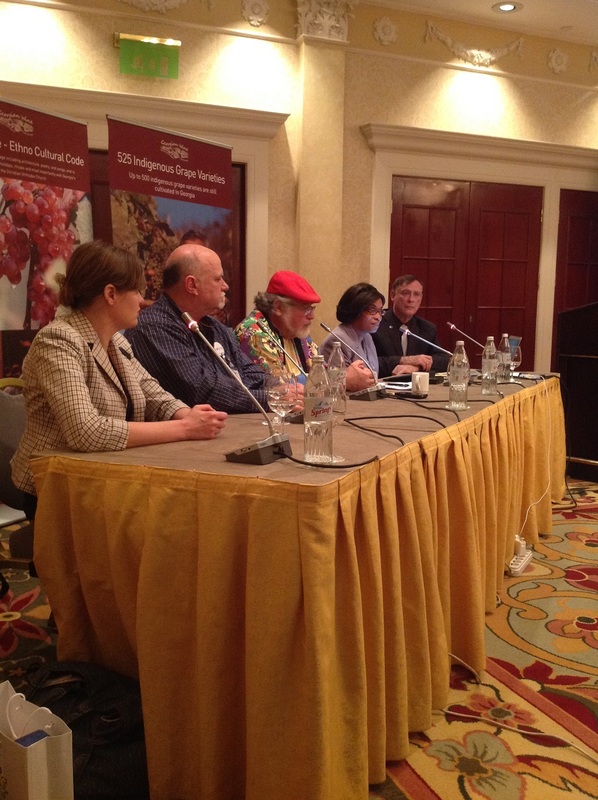 Well, it’s the successful wrap up of another International Wine Tourism Conference. Anthony Swift began by giving great thanks to all the speakers, the media group, the Georgian National Tourism Administration. He also thanked the Georgian National Wine Agency, with particular thanks to Irakli Cholobargia, Ia Tabagari, and Tamta Kvelaidze for all their help in the organization of the programme. 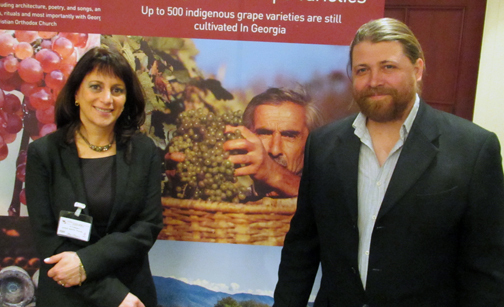 Thanks were also due to both Kindzmarauli Marani and Winery Khareba for their wines during the conference lunches. Big thanks to all exhibitors as well, and to the Tbilisi Marriott Hotel & Staff (who were absolutely wonderful). 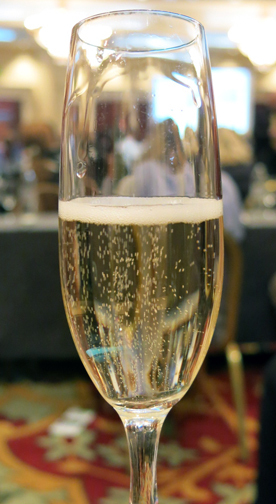 Two announcements included the fact that the hashtag #iwinetc actually trended over #obama on Twitter, and that the 2015 IWINETC conference and workshop will be hosted by the Champagne/La Marne region of France! The podium was handed over to Elisabet Vidal, the Sales Manager of the Champagne-Marne Tourist Board, to give a presentation on her region. This was accompanied by the hotel staff distributing flutes of Mumm Cordon Rouge Champagne! 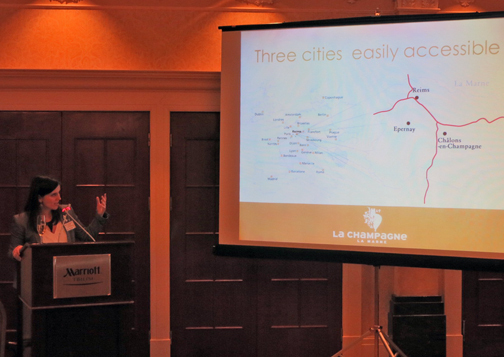 Elisabet proceeded to talk about the various cities and landmarks within the Champagne region, including Reims, Chalons-en-Champagne, and Epernay, which are rich with Champagne houses, vineyards, the arts & architecture, and several monuments that are in UNESCO World Heritage lists. La Marne houses 75% of Champagne’s vineyards and they have 500km of roads in their tourist routes, all marked with common signage of “Route Touristique de Champagne”. There are many options for tourists wishing to visit the area, whether they are focused more on the wine, gastronomy, history & culture, or eco-tourism. See you in La Champagne 2015! A bientôt!